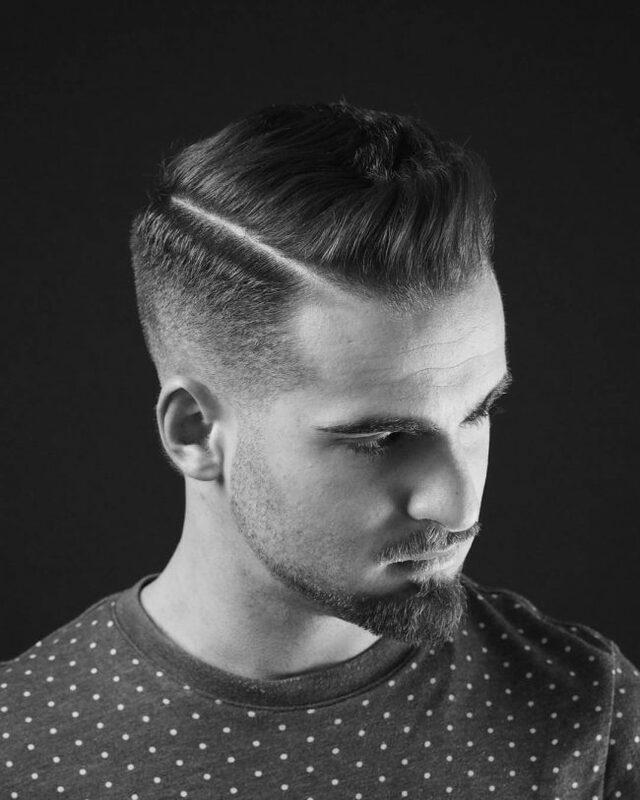 Guys love sweeping hairstyles because they are flexible and easy to keep. A longer side is swept over the head top to the other side. Part of this is allowed to pass over the forehead thus covering the thin front. It looks natural and it would not be easy to notice any cover up. It is simple yet a great style with an unmatched finish. Sides are cleared to as low as you may be comfortable. A top is trimmed to make two distinct layers. A small sweep originates on the top and has some extensions covering the forehead. You look sleek and you will be an eye-catcher in the streets. A top is compounded by combing hair upwards but then cropped at the top to form a rounded heap. 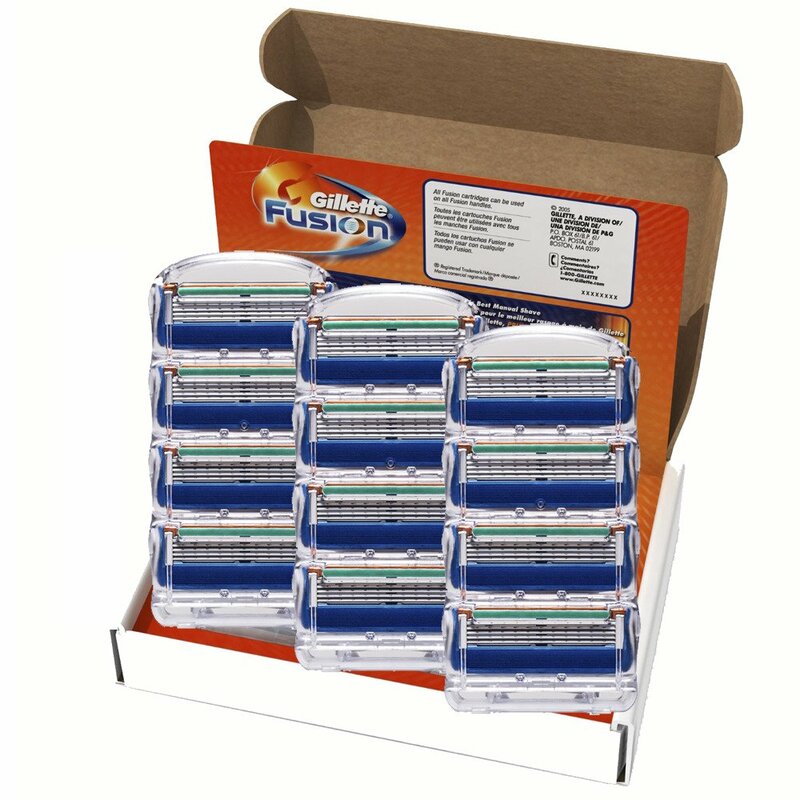 The front is bolded to bulge out and thus taking care of the recession. 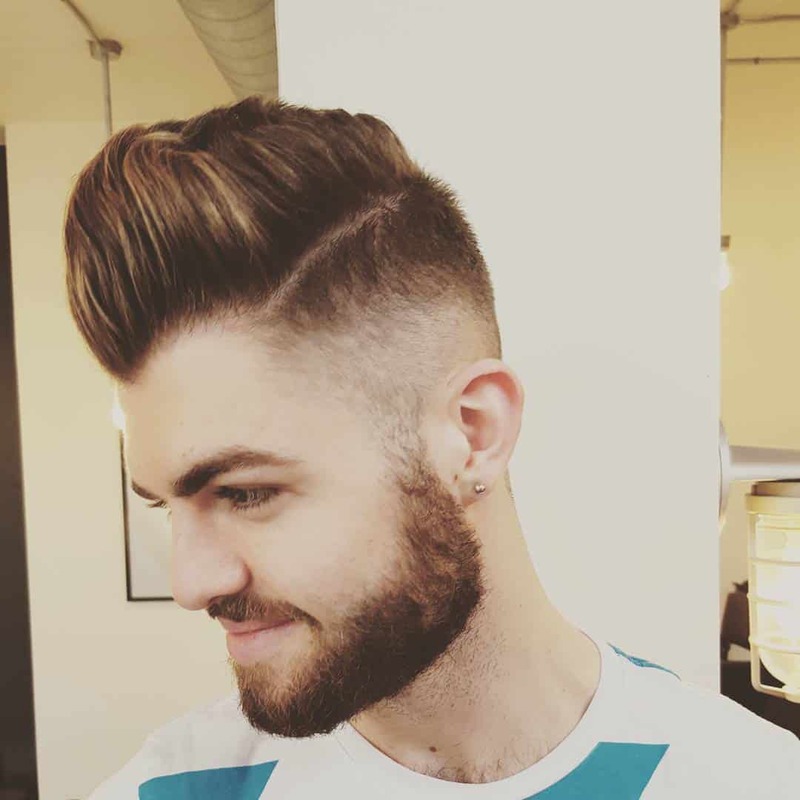 The sides are two layers of different hair length. It is an easy-to-go style that would make you look like a star. Many people are still crazy for the ‘Box’ style that was popular in the 90s. You can also make a good deal out of it too. 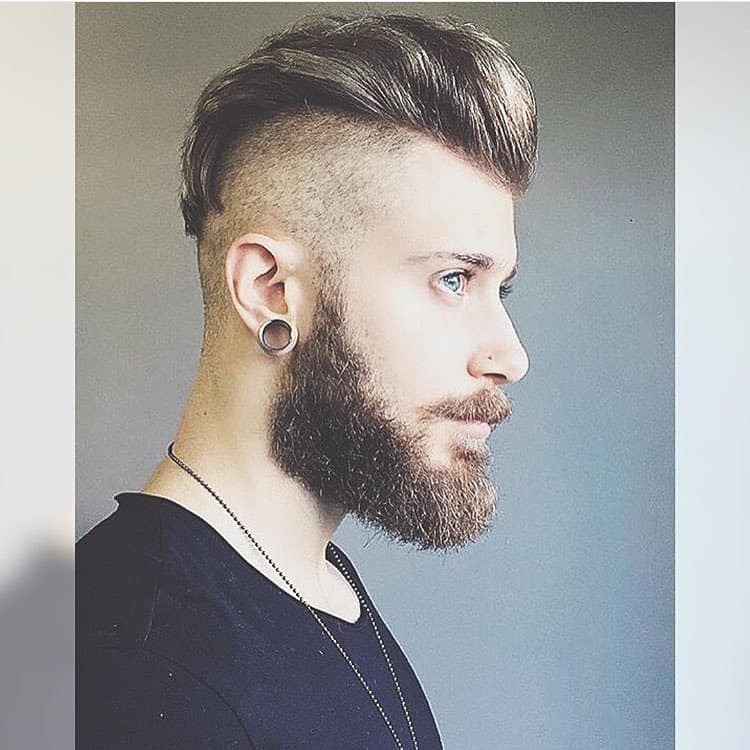 With clear shaved sides, A top is trimmed to a medium stout effect. The front is given a not-so-clear-cut that leaves it with some hair. 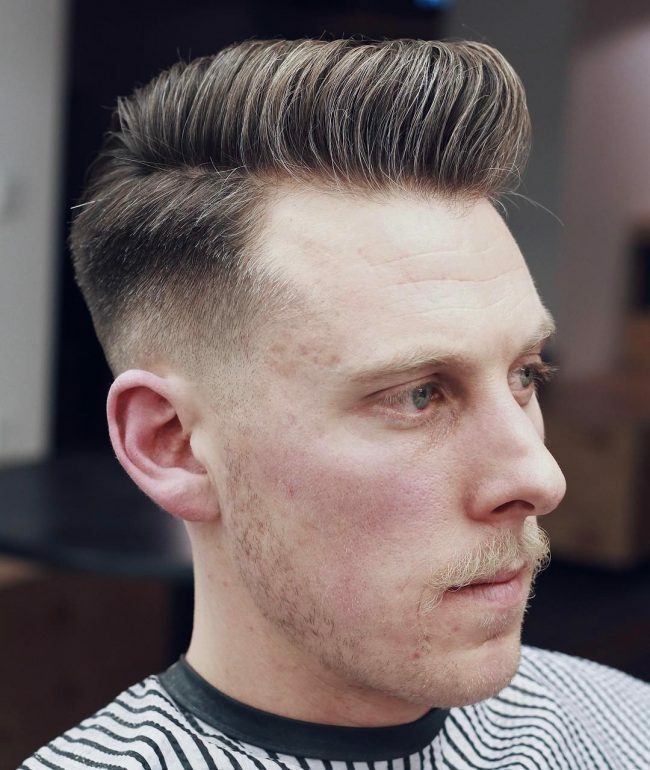 It is an outstanding look that would do more than just disguising a receding front. Hair is left to do its natural growth before being styled to run backwards. The top waves are brought to the front cover the foreline and then turned inwards. It leaves a handsome look that would be noticed by the ladies. Such a look would add a score to your perfect cheekbones and the calm face. Many people are still crazy for the 'Box’ style that was popular in the 90s. You can also make a good deal out of it too. 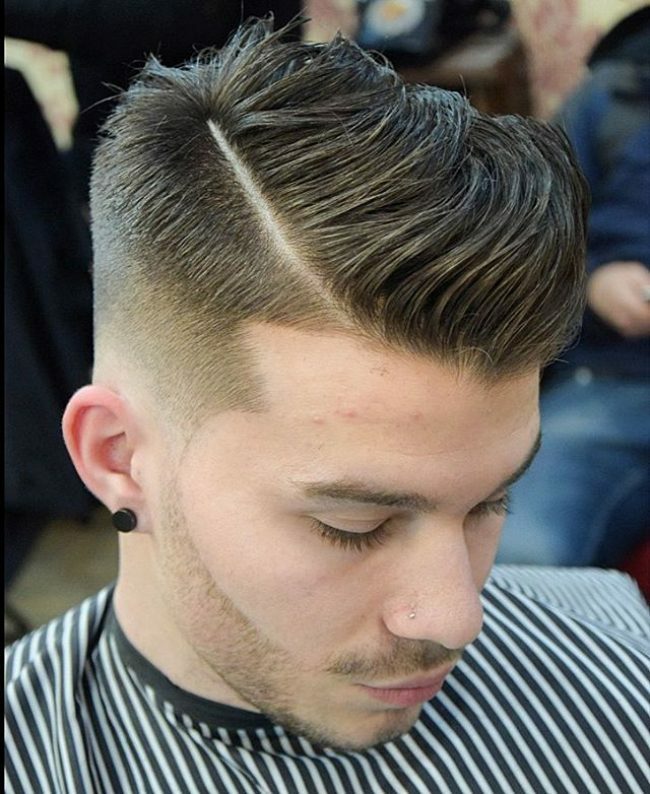 With clear shaved sides, A top is trimmed to a medium stout effect. The front is given a not-so-clear-cut that leaves it with some hair. 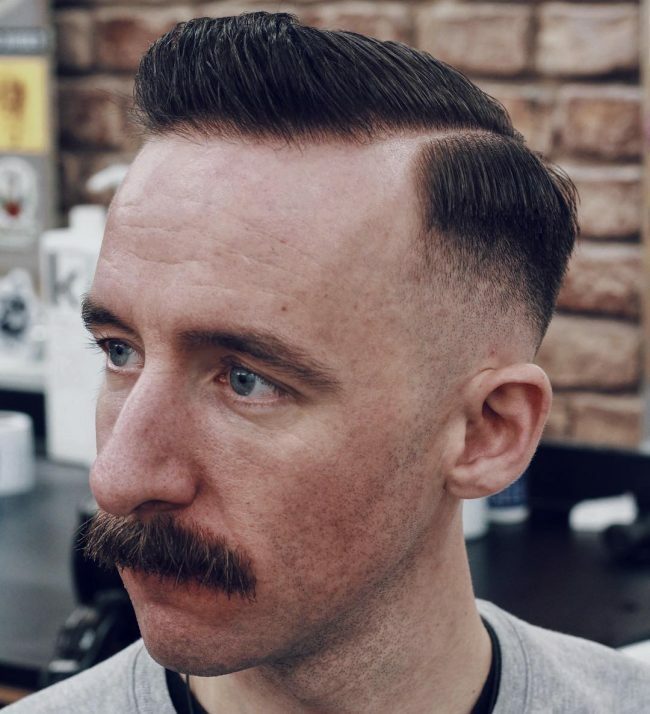 It is an outstanding look that would do more than just disguising a receding front. If you want something that will take all attention from your front hairline, then this is the best bet for you. The sides are cleared while the top is trimmed to medium size. It is combed backwards forming a smooth slant. Pink dye is spread on the top and what a genius is this style. Any style with front bangs would be effective for a thinning hairline. Top boulders with its dropping bangs would be to such effect. Sides are given a light touch with slanting falls. The top is embroiled into a rounding effect with bundled bangs let to drop from the top end to fall on the forehead. With a clear parting line on one side, classy look is a good style to make up for a thin front line. 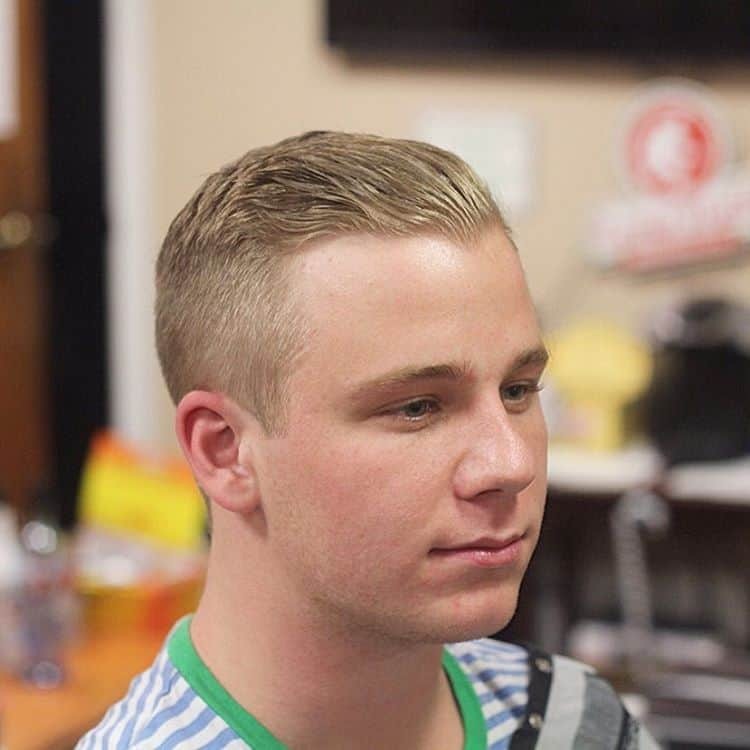 The sides are combed downwards while the top is given a sweep starting from the parting line. The front is given a protruding impression that covers the hairline. It is a classic look that would be befitting any event you may be attending. There is never a good hairstyle than one that comes with simplicity. Simple top sweep is an easy going style. 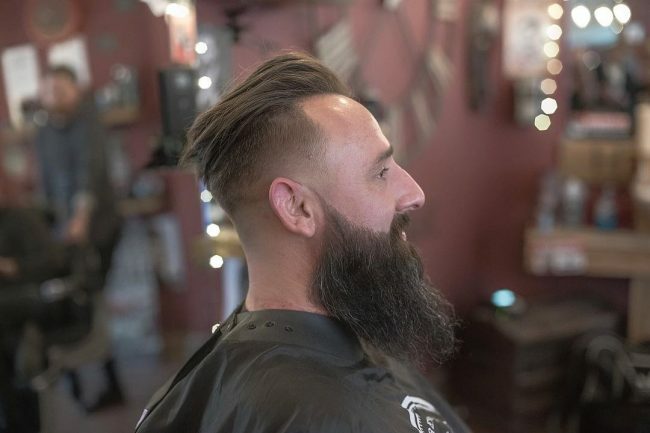 Sides are shaved to an inch or less while the top is trimmed. Sweep starts at the top and does not fall to the side. At the front, it is given a slight bulging extension that grooves the front line to a scenic appearance. Many music and acting celebrities have pulled up this style and you can never guess they are shielding sparse front lines. To take attention away from the front, a pullback top is the best you can go for. Sides are cleared to a size you are comfortable with. The top is trimmed to give it a solid look and then combed backwards. It forms straight back strands that end below the back head fall. All the attention goes to the fall and it is such confident look you have. 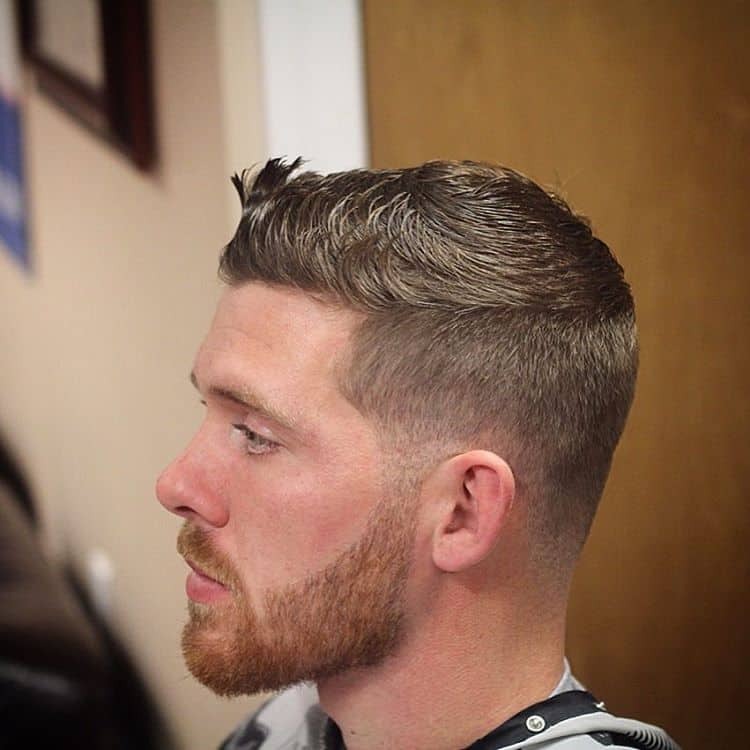 The sides are cleared to an inch or less while the top is given a trim for a medium size. It is combed backwards but the front is not finely straightened. 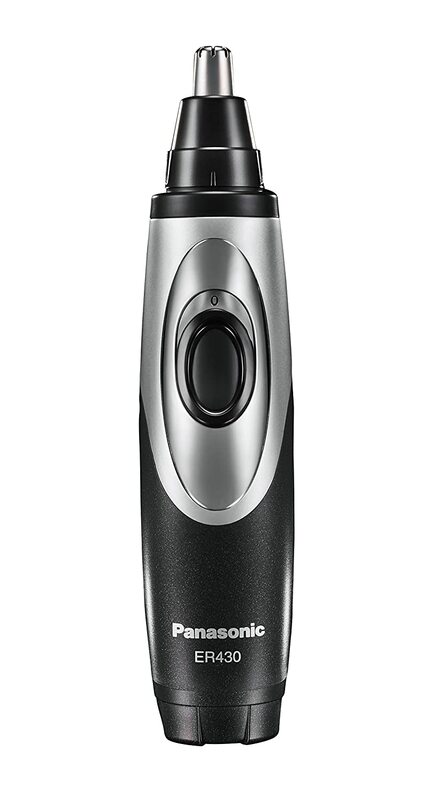 It forms wavy ripples that dissolve any of your thinning front hair. You look refreshed every other time you give it a mild retouch. The sides are drawn into a falling mop while the back is left curly falling on the neck. The top is left with spikes to form cute tangles. At the front, a group of spikes are refined to take away attention off of the end line. The face is left exuding confidence and it is a look you would appreciate for a party or fun event. It is a style that has caught many guys’ attention and you are joining the club of handsomeness. Giving your top a lofting effect would be a genius way to cover up for diminishing hairline. 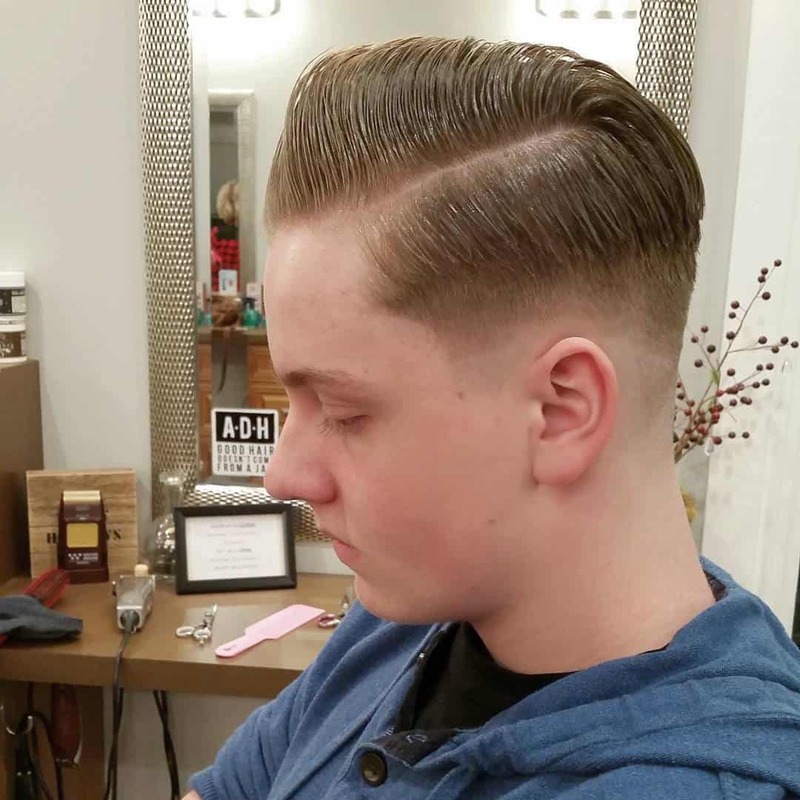 With lofty top, the sides are trimmed while the top is left with an easy to maintain length. Hair is grooved to a high top with all stands ending at one place. 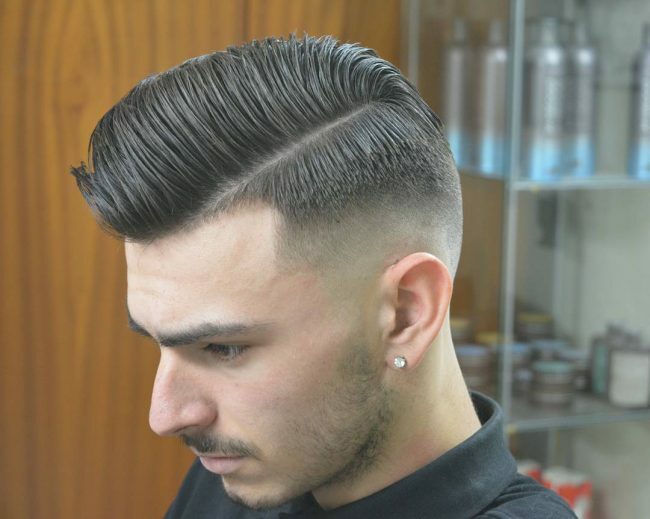 The front is higher than the back thus giving a slanting effect and dissolving any traces of a sparse hairline. It is called petit because it is a small sweep intended to complement the hairline. Sides are clear on the fronts. 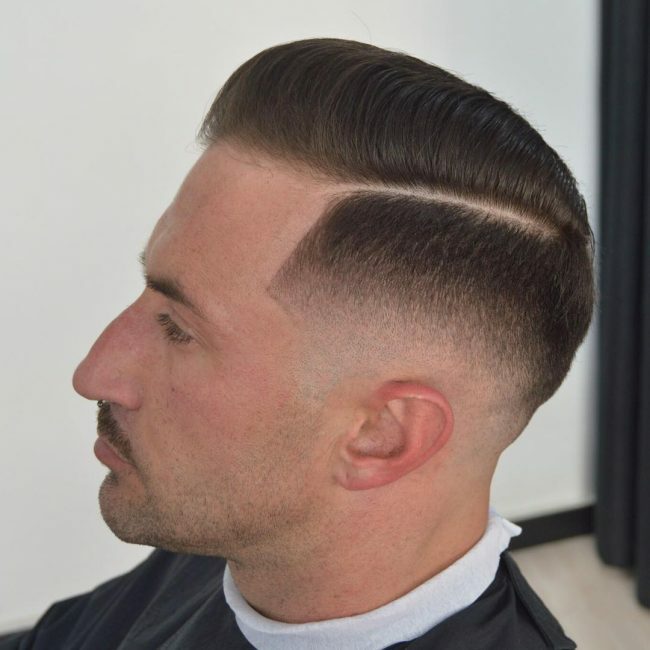 Sweep is at the top of the head and fades as it goes to the back. A parting line starting from the forehead is taken round the small sweep and it is such a meticulous finishing. Well, this is not a Mohawk per se but it creates such an impression hence the name. 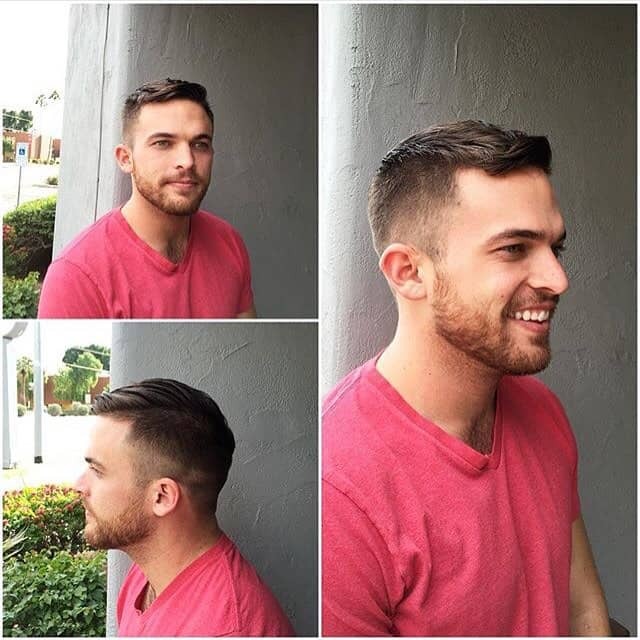 Sides are layered into two while the top is left or just trimmed to a medium size. It is then combed backwards into a racing effect that draws away any adverse attention to the foreline. It is a style you will feel comfortable and you can trust your looks with it. For the bold guys, this is some style they would want on their heads. Lower sides are given a close shave while the top is trimmed at the back. The front is left long and looped into the middle but slanted to one side. It is a crowning effect that will be cool for your fun and good looks. Treating your long hair into wild curls would be a thing you have missed all this time. Trim lower sides only and let all the rest be in curls. It takes away that weird look on the front line. It is a simple style but one that will be effective for nice looks and you need it. Here sides are given a close cut and smoothened. The top is trimmed at the ends and combed forwards. Bundles of hair surrounding the top are left curly creating a contrasting effect with the inner hair. At the front, curls reduce what would be a not-deserving look for you. You achieve an aura of a star and you know that your hairline can never be a limitation anymore. 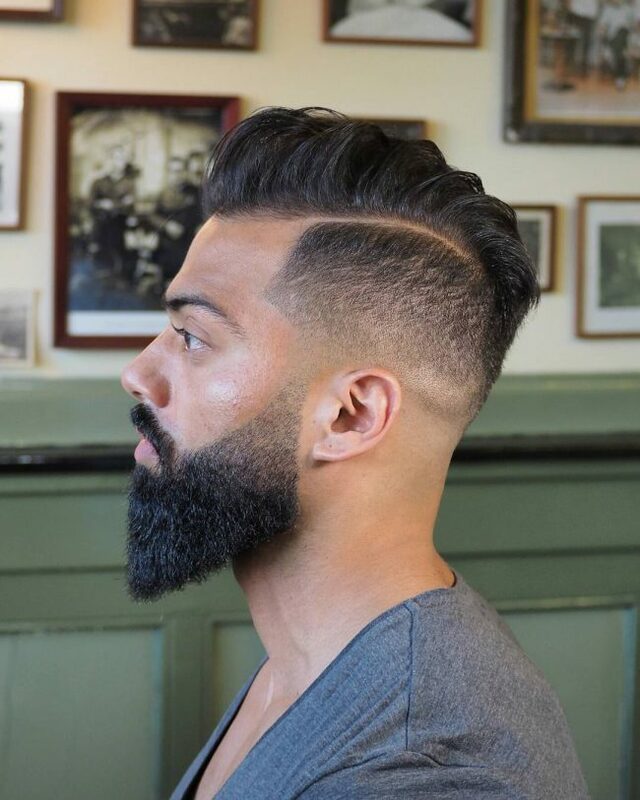 It is a simple look for classy guys and will diffuse any adverse fore line that you always want to get rid of. Sides are trimmed to an inch or even less and then brushed to a fine finish. A parting clear line is drawn backwards at one of the forehead corners. The top is pushed to the back but with a slight tilt. You cannot even notice that you ever had a problem with a sparse front. The Marine style has never lost its popularity among guys. Marine guy look is with shaved sides and a short top that has a back rolling finish at the front. It is effective in absorbing a rather receding front. With sides cut short, top patch begins its ascension at the back of the head. It rises to the forehead where it is at the highest. 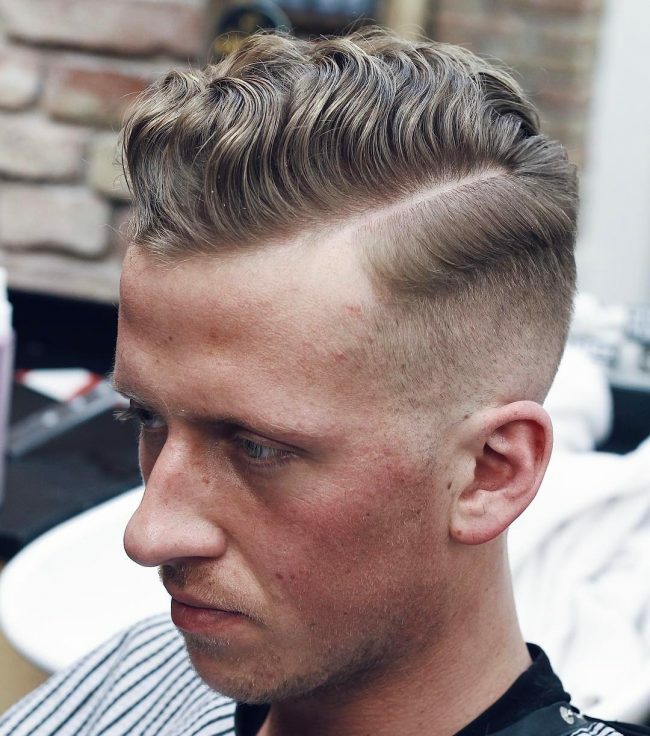 Front strands are heightened to wavy vertical and that is all you need for hairline that is on the receding end. 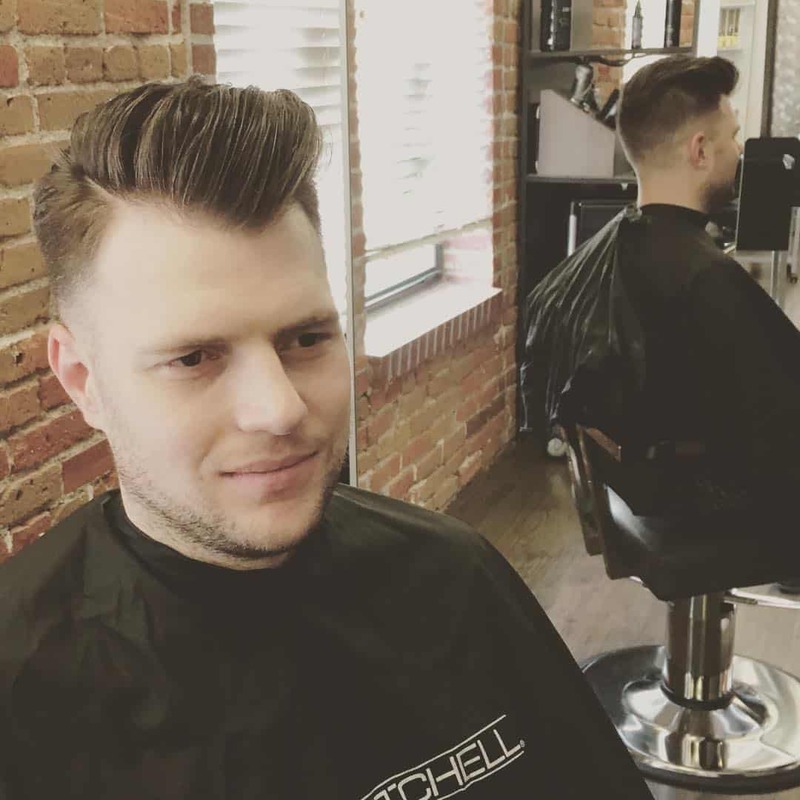 It takes lots of confidence to have sides clean shaved and then have an outstanding top that has bundles of interlocked strands. Top patch races towards the back but not before leaving an impressive fall-like appearance at the front. Sides are divided into two layers with lower cleanly cut while the other is left an inch longer. The top is drawn into straight strands from the front and taken as far as the fall of the back head. 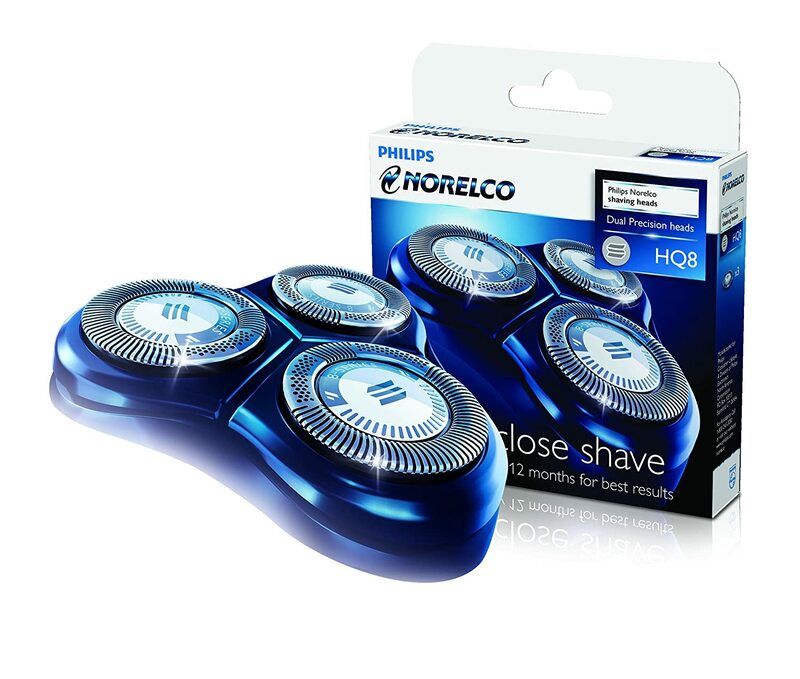 You no longer have to worry about an ebbing hairline. Now you are sure that your receding hairline is never unfortunate. You can look great in it and it is so effortless. You just need a style that complements it and you are out there to have fun. It does not have to be such a difficult task. The styles discussed here can work magic for you. Try a few today and be refreshed for every event you may be attending.